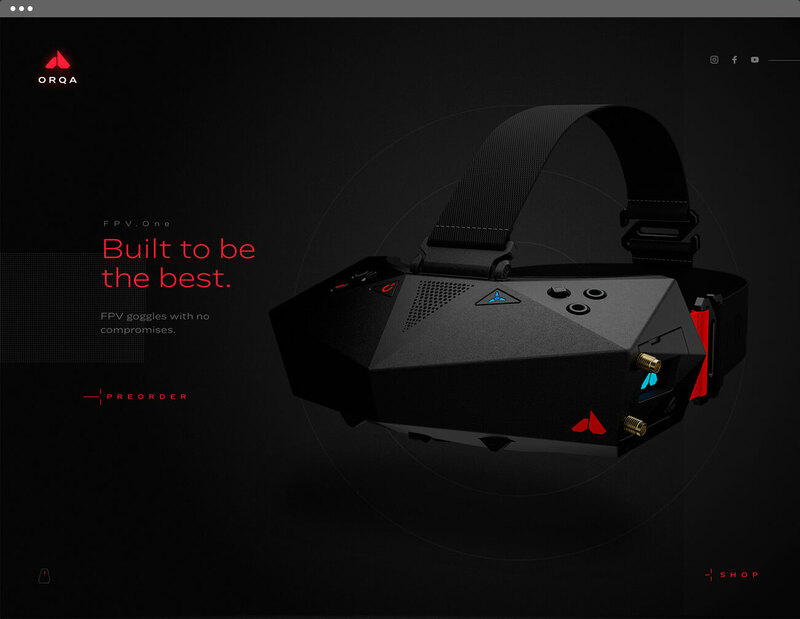 FPV.One are superbly engineered drone video piloting goggles with optics which set a new benchmark for immersive FPV experience. Orqa has set out to build the world’s best FPV goggles; without any compromises. 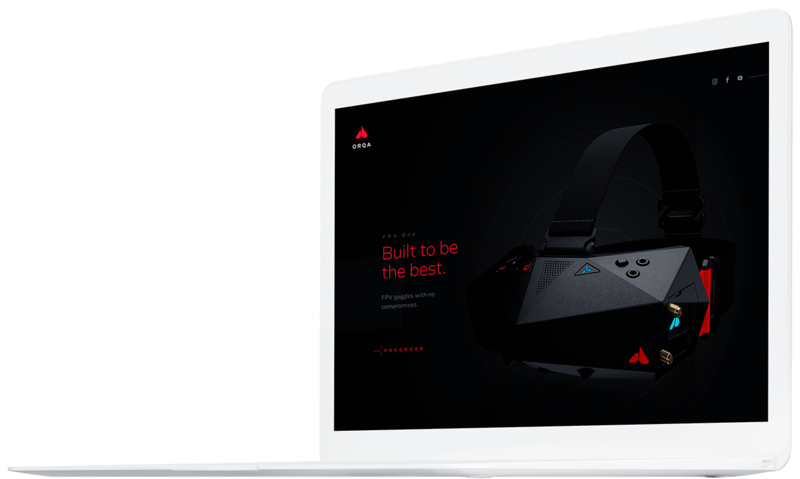 With the goggles almost ready to hit and disrupt FPV goggles market, our task was to design and develop the website that will demonstrate technical superiority and how Orqa plans to deliver immersive FPV experience. Taking the image of an Orca whale breaching water we created an iconic and strong symbol for Orqa brand. Every visual element was scrutinized and thought through at each stage leaving minimal noise in the final design. This brought emphasis on the very product — which was strong and distinctive all by itself. Ringside wide was used as the primary typeface for its fully-curved characters with diagonal stroke endings, lending the design both warmth and character. Designed for diversity instead of homogeneity it brought some of the charming individuality to the identity. With goggles not yet on the market, we knew we needed to design the website in a way to present every feature Orqa’s goggles have in comparison with the competitors. To achieve that, along with the list of the main features, we added a 3D render of FPV goggles and made it interactive. The goggles can be rotated to any side, allowing the viewer to explore and get a better understanding of product anatomy before purchasing them.